How to access eBooks online on a PC/Mac. 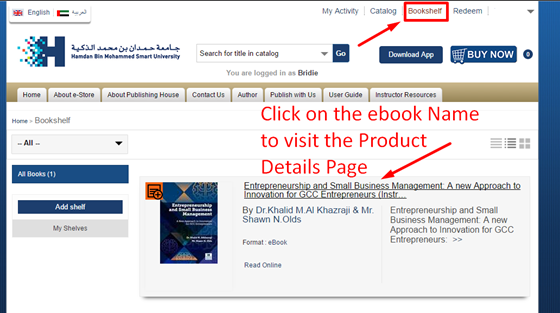 Open the eBooks site http://estore.hbmsu.ac.ae/ on any modern browser( Ex:Google Chrome, Mozilla Firefox, Microsoft Edge etc). Click on the Login option located on top of the eBook site and Sign-In with your registered credentials (Username & Password). Once you are successfully logged in, you will be redirected to your Bookshelf page. 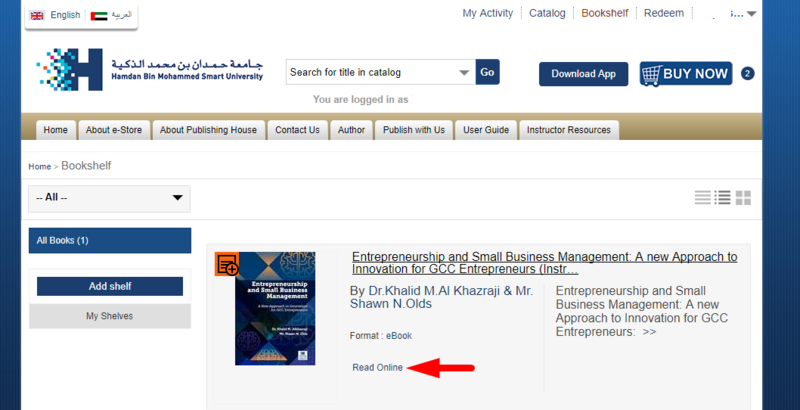 How to access the eBook Online? In order to download and access the Instructor Resources, please login with your registered username and password. Go to the Bookshelf page. 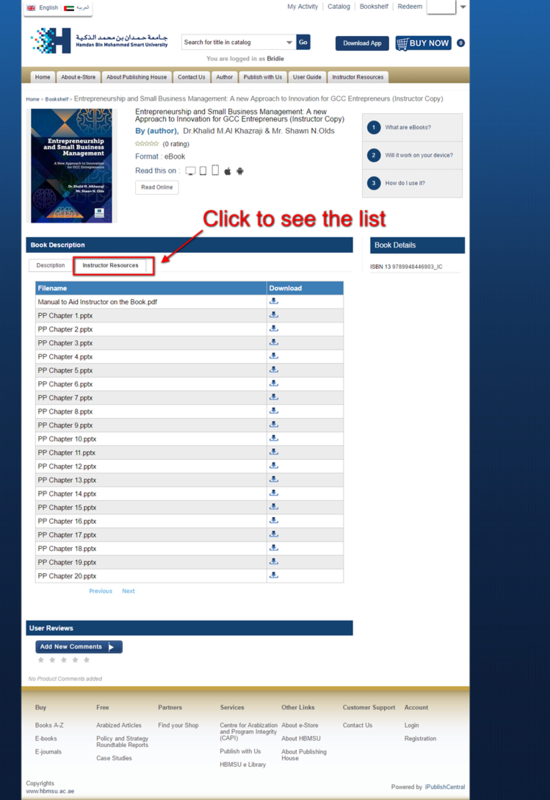 Click on the eBook name as shown in the screenshot below. You should now be able to download the resource files by clicking on the button. 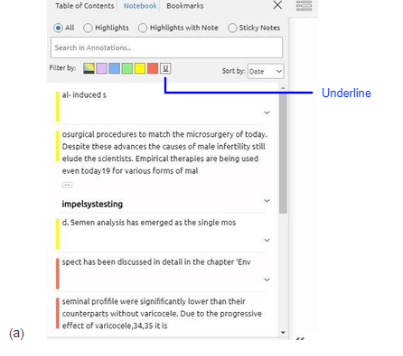 How to Create Highlights and Notes? Indicates the Contents of the reader. highlight and note in a page of any reader. 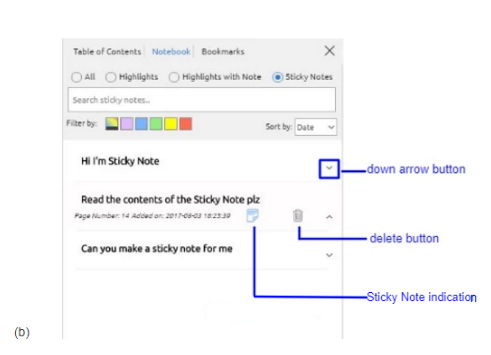 Helps to add a sticky note anywhere on the page of a Reader. Helps to add bookmark for current page of a Reader. Helps customize zoom settings and view. that lists corresponding word highlighted along with respective page number and chapter name. Helps to customize the reader settings. 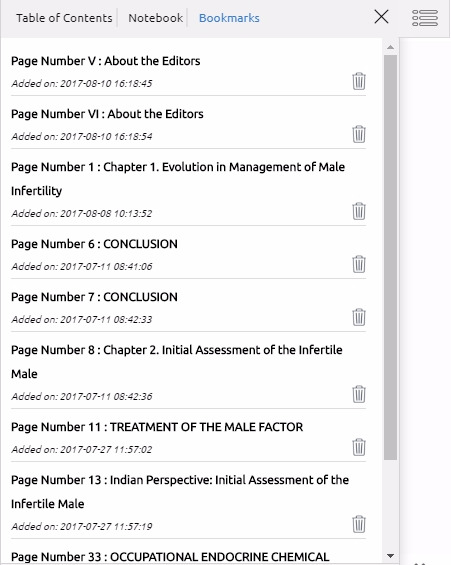 Helps find citations, print the pages and view the reader in full screen mode. 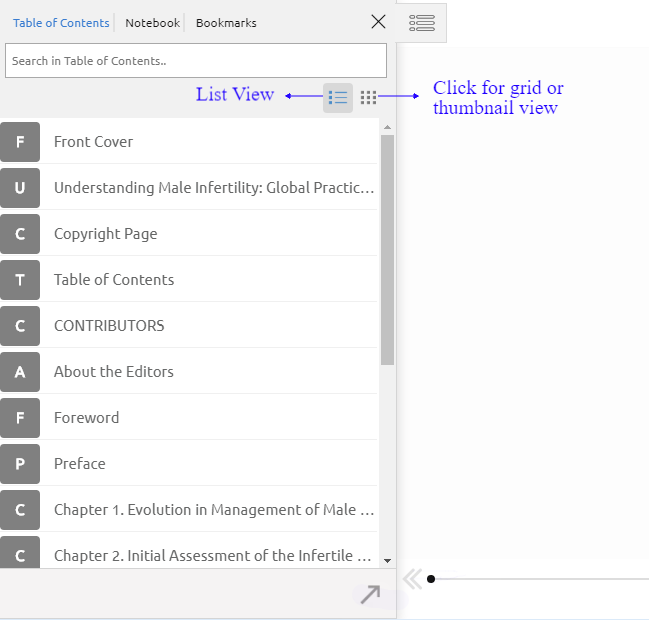 The book content is displayed here. Navigate to first page of the reader(Cover). Go to particular page by sliding the seek bar. informs remaining pages to be read. 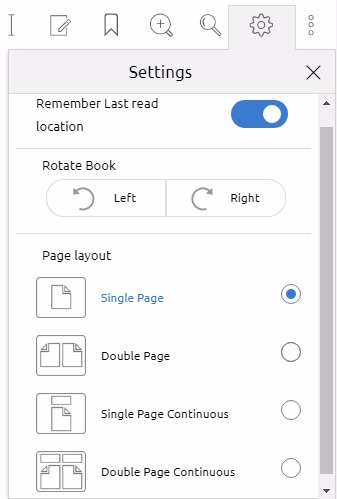 Navigate to last page of the reader.